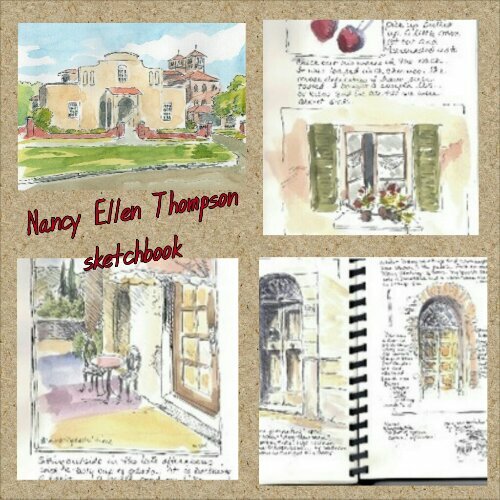 Carol and I had the great pleasure of taking a sketching class with Nancy Ellen Thompson of Snow Hill, Md. Wow! What a class. Learning to put your simple drawings and thoughts on paper into a sketchbook is freeing. 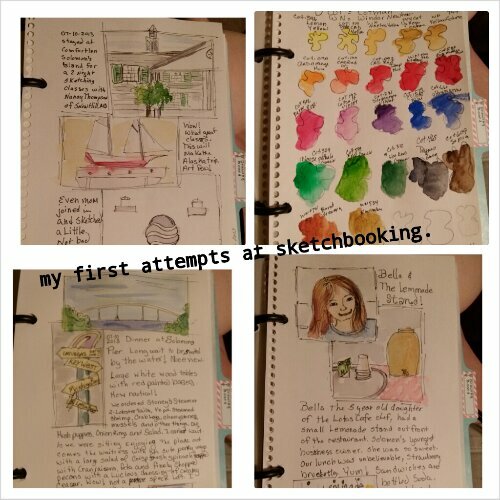 Carol and I have tried sketchbooking before. Carol’s sketchbooks are beautiful detailed, but take hours and hours. Mine are disorganized and do not tell a story. Nancy helped us to learn to layout areas for drawings, pictures and journaling. Next to block out the actual drawings of subjects, then to complete the drawings in a permanent ink pen, like a thin line Sakura Pima Micron pen. Even my 86 year old mom joined in the fun. 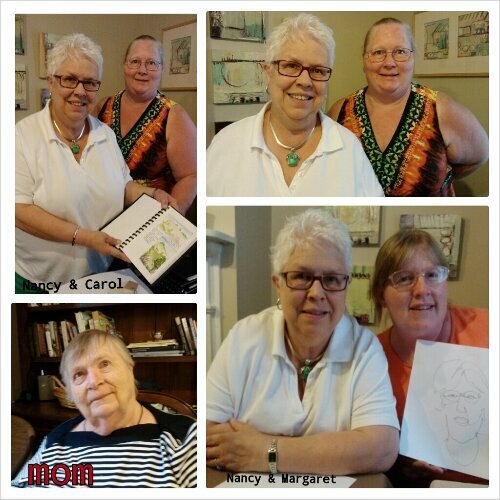 Nancy has classes regularly at her studio in her Snow Hill Studio and at Anne Marie Gardens in Solomon’s Island, Md.